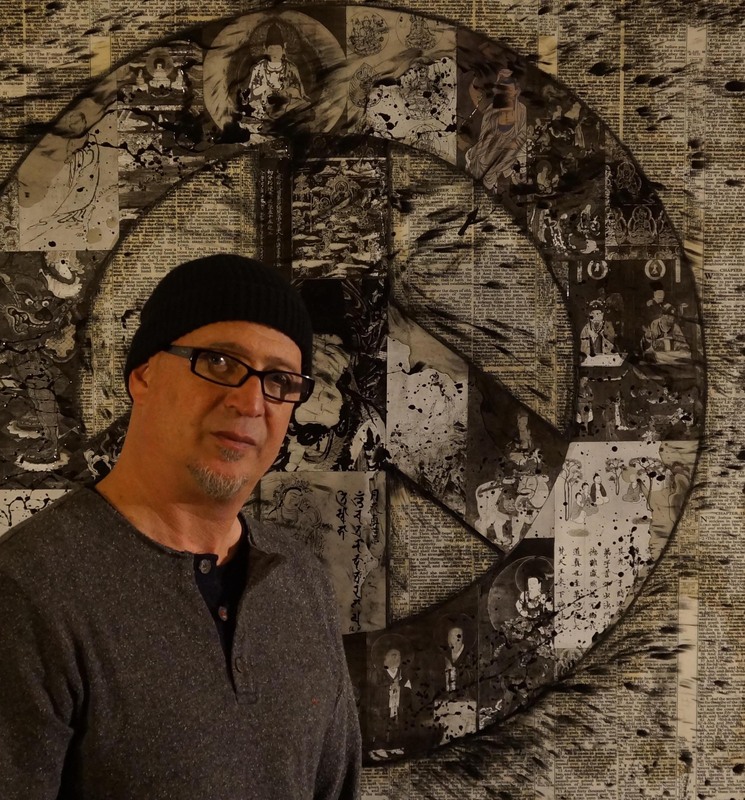 Eben Dunn is an Atlanta-based, mixed-media artist. Dunn’s work, which combines elements of collage, assemblage and painting, plays with our sense of reading and understanding. Through clever use of wordplay and juxtaposition, Dunn subverts the logics of socialized morality and philosophies by highlighting ironies and inconsistencies in various political, religious and social dogmas. Combining what he calls “mathematical backgrounds”, found objects and collaged elements he creates powerful images that unify us all as well as remind us to be stronger individuals. My work considers the irony of man’s conflicts with his own society. These conflicts can be seen in how we as humans both identify and dis-identify with one another. Similarly, these conflicts are performed in our social, moral and even spiritual ideologies. My practice includes collecting objects and ephemera that may hold deep and reverent meaning in one setting while being perceived as banal or insignificant in another. I begin each work by carefully mapping out a composition using these found and collected objects. I then layer them with my own textual or visual iconography as a way of highlighting the often unseen or overlooked inconsistencies between the juxtaposed ideas. By combining these objects and materials and subverting them with contrasting words, phrases and images, I ultimately challenge the viewer’s perspective. My work is committed to stoking conversations between object and subject, practice and philosophy, as well as between the work itself and the viewer. Through my work I interrogate how key forces in our lives affect our narrative vs. the reality of these forces’ impact in our current circumstances. Eben was born in Connecticut, however his family moved constantly throughout his early years. From living in the Northeast to the West Coast to the Southern United States, and subsequently traveling the world as an adult, Dunn’s experiences have given him a diverse perspective on the world. Going from being an accepted outcast to various iterations in-between has afforded him a unique perspective of how people interact with one another. Currently Eben lives in Inman Park next door to his studio with his wife Stephanie and his ever-present dog Dalai. The Studio- (also known as The Waddi). I have been told that I am a “sorcerer” because I collect so many objects and once obsessed will find what I need no matter how long it takes. My wife thinks that I need intervention at times and that I am a borderline contender for the show “Hoarders”. My studio is filled with stacks of boxes, over flowing shelves, cabinets filled with beautifully printed paper. At times these objects are spread over every available surface including the floor. This chaos ebbs and flows like Charleston title marsh when I periodically “put things back in there place” so I can start the process all over again. There is an outdoor space that I use for the more messy work as well as gathering friends, bond fires in the winter. It also has two shipping containers for the overflow from my studio- (yes I have that much treasure). I am basically the Fred Sanford of my hood. If you would like to visit the studio please call 404-307-3893. 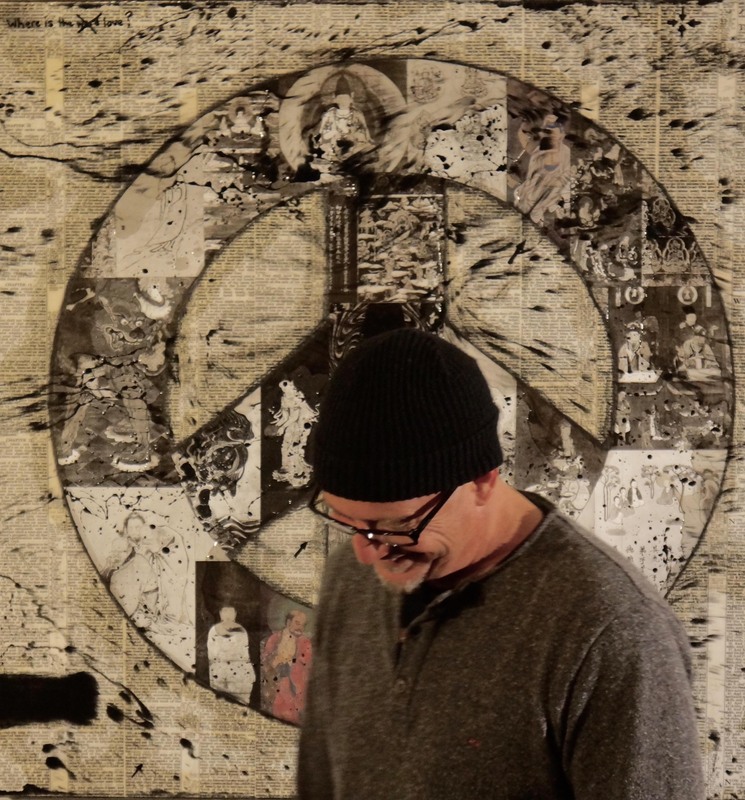 Eben began making mixed media art in his teens. While he is more or less a self-taught artist he did receive some classical art training when he studied glass blowing in New Orleans for a few years. 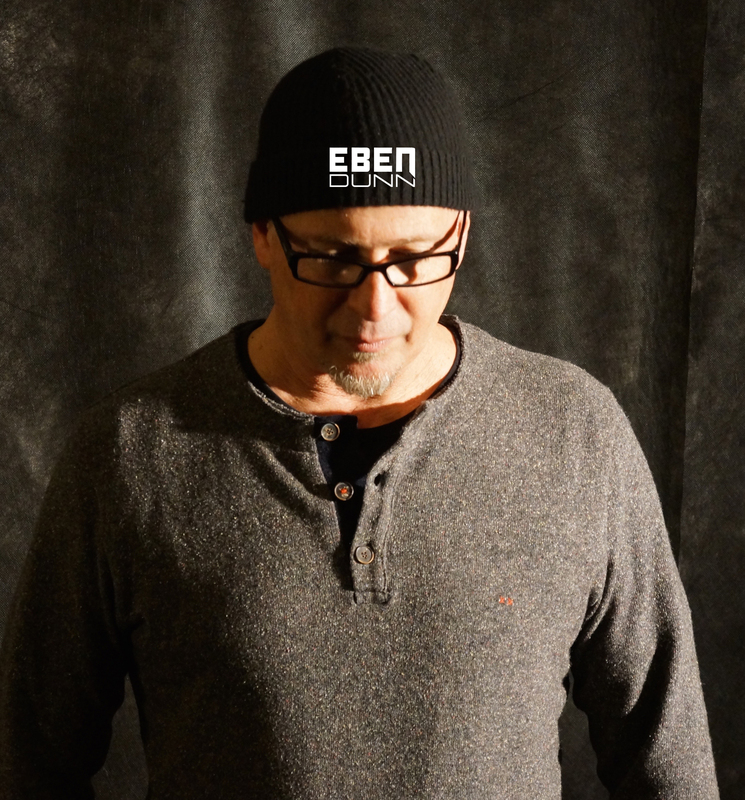 Eben has a passion that evokes the rich images he creates in his mixed media pieces. His composition of these bold objects using a more mathematical element creates images that are diametrically opposed yet reflect a meeting point that the artist feels is universal and is a direct reflection of his experiences.